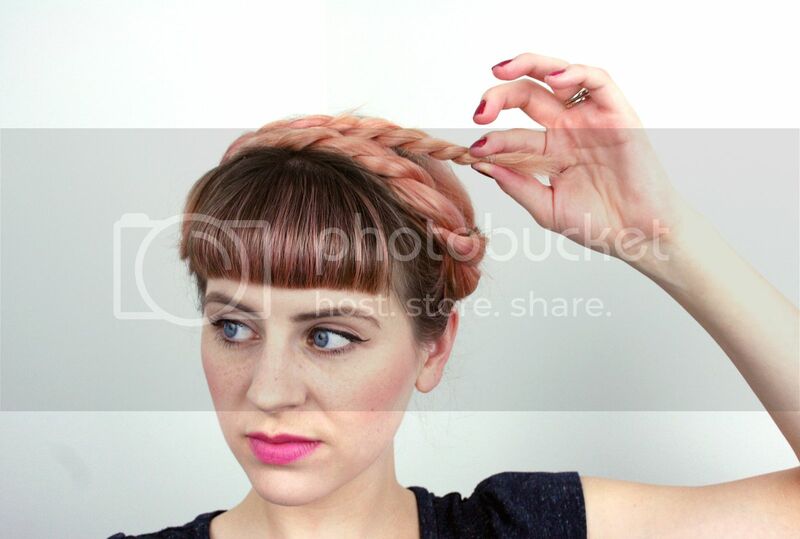 You've probably seen milkmaid braids everywhere, but have you seen its sister, the twisted milkmaid? 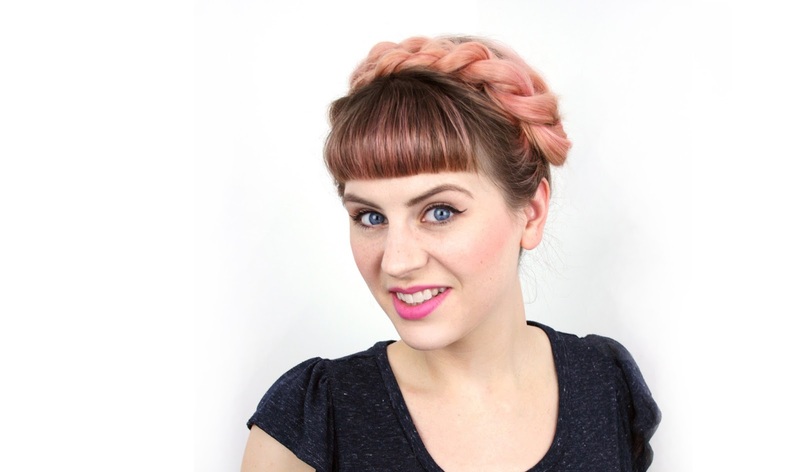 (For its other sister, the retro milkmaid braid, click here.) 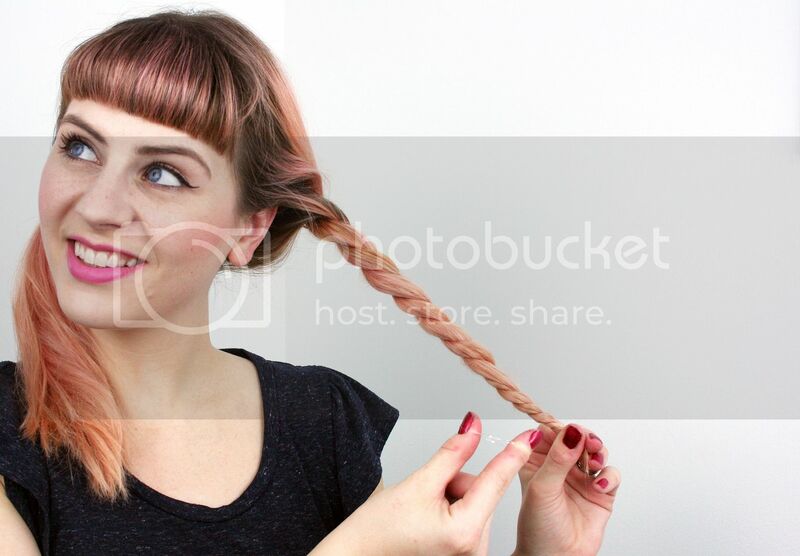 This style super easy to do if braiding isn't your forte, and it creates a lot more volume than braids if you have fine hair. 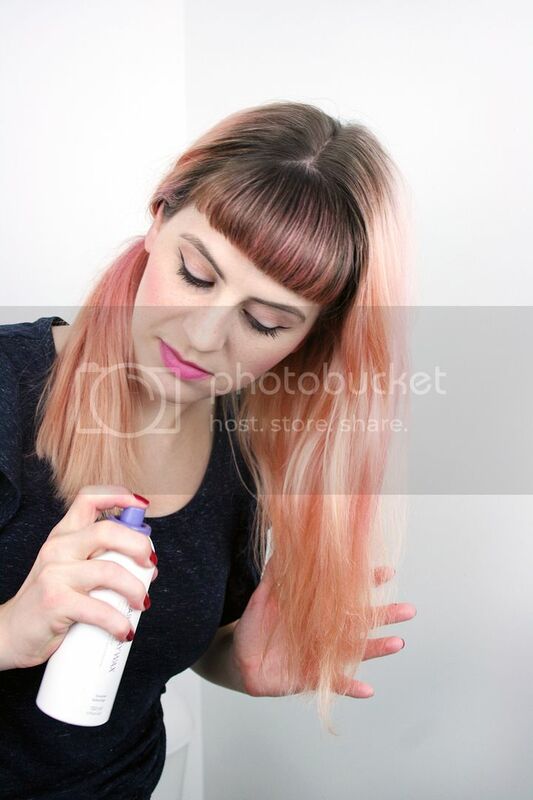 It only takes 5 minutes tops to do, and works especially well on hair that isn't freshly washed. 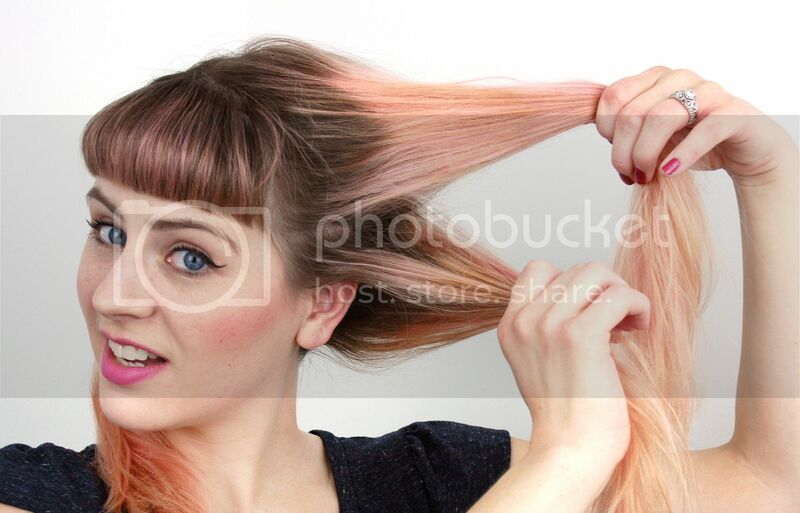 Meet your new omg-I'm-running-late hairstyle that people will think you actually spent time on. Let's get to it! Next, divide the half you're working with into halves: top and bottom. Pull the halves forward so the twist begins right above and behind your ear and twist straight out from your head. 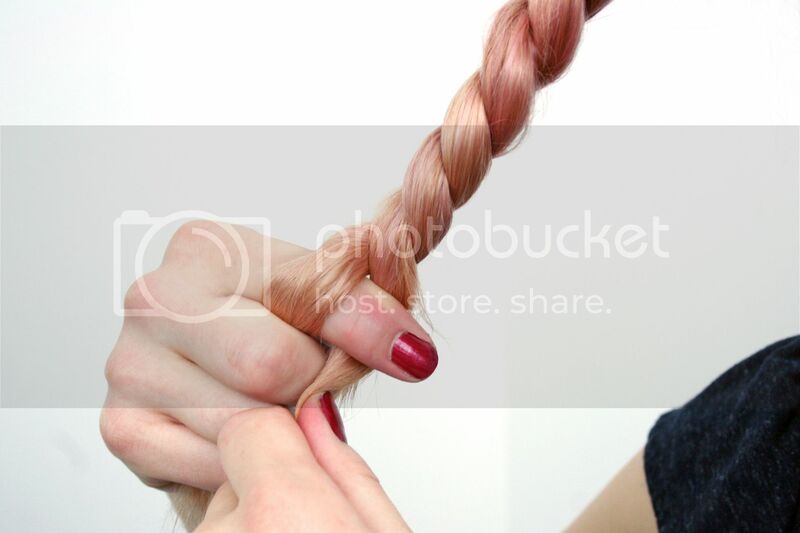 Using one hand to twist one section of hair, use your other index finger in a hook shape, rotating the hook around once as you twist, to add a twist to the two sections of hair as well. If the two individual pieces aren't twisted, they'll kind of meld together. Secure the end with a clear elastic. Don't let go! If you do, it may just all untwist. 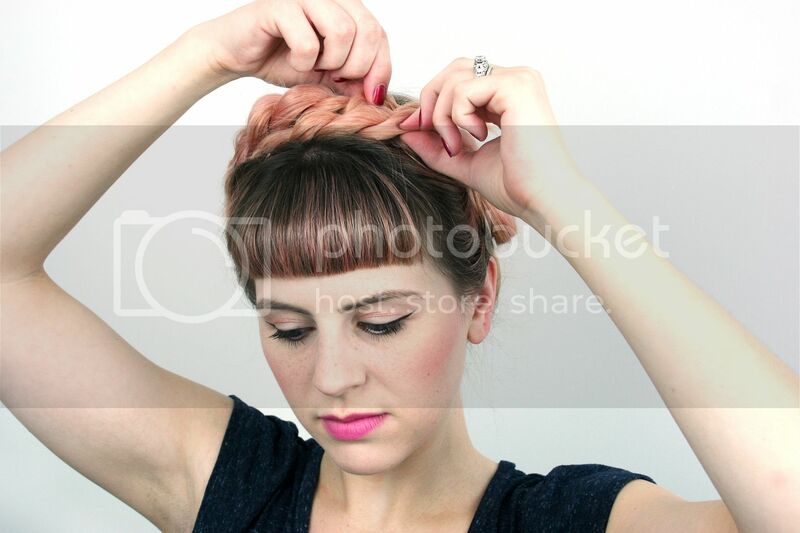 Instead, pull it across the top of your head and secure with a bobby pin, going in the opposite direction, as shown below. Untie the second side of your hair and repeat the twisting process. 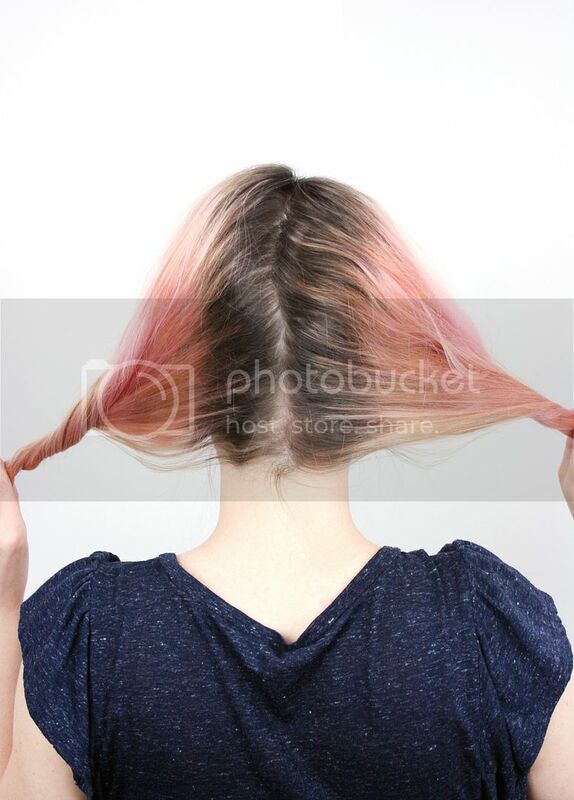 When you pull the second twist across your head, be sure to cover the end of the first twist. 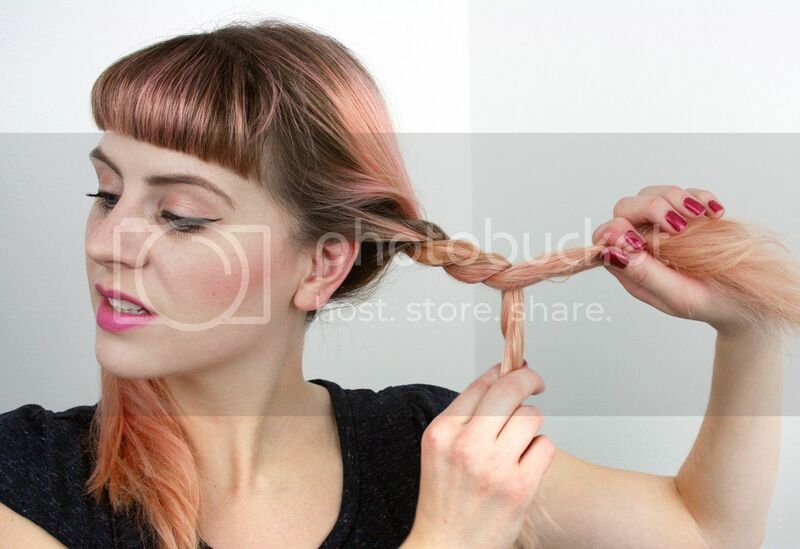 When you go to bobby pin and secure the second twist, snuggle the end under the existing twist, so the elastic is hidden. With just the end bobby pins in place, sprinkle a little texturizer (I love this brand) on the twists and lightly work it in with your fingertips (again, this powder is a must-have for all braids or twists!). 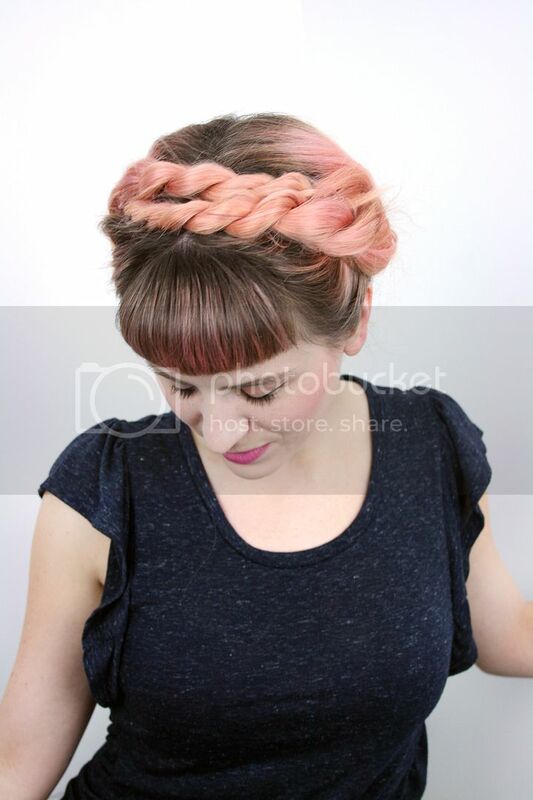 Pull the pieces of the twist out slightly to puff them up and give you your desired silhouette. 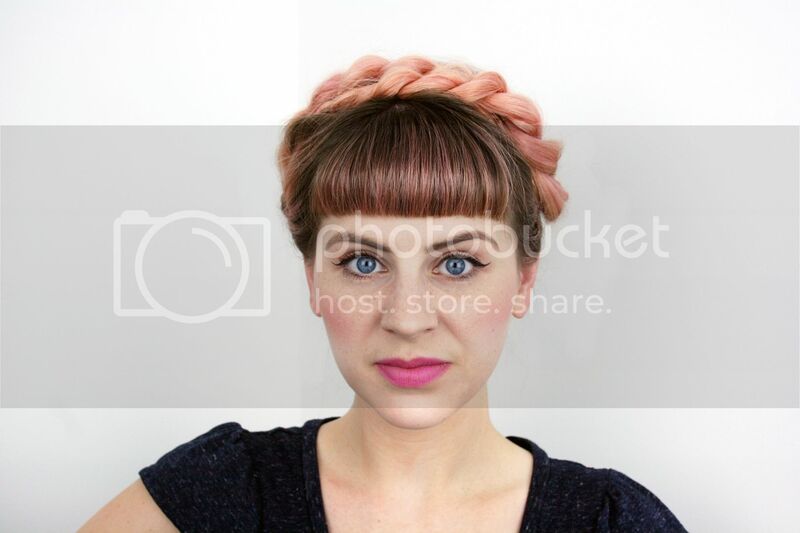 Then, secure a few more bobby pins across your crown and any in the back if you feel like something is loose. Ta-da! You've made yourself a crown with your very own hair. You're ready to conquer the day, you queen. It may seem like a lot of steps, but it seriously takes 5 minutes, so what have you got to lose? 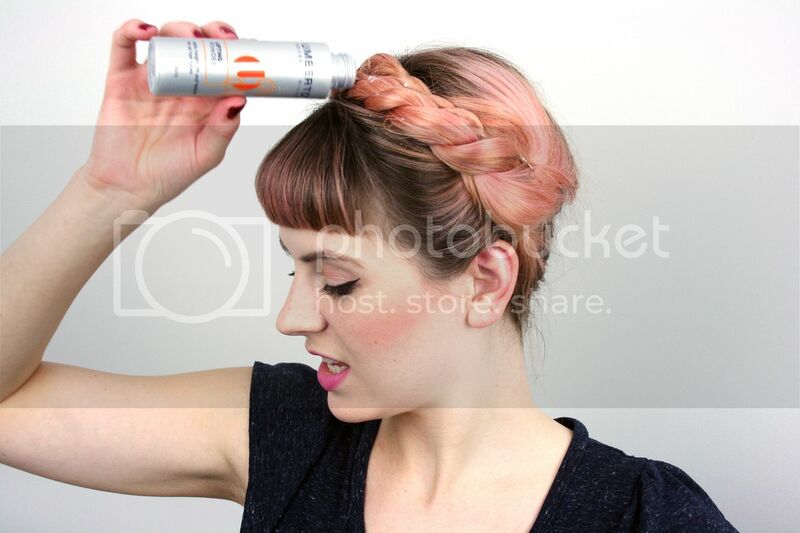 For more hair ideas, check out our other hair tutorials here. Happy twisting!